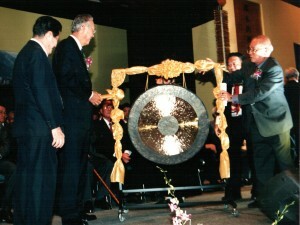 You have an opening for an event that needs a Chinese gong - a big one. You do not want to buy a Chinese gong because most probably you will just use it once and chuck it aside for the rest of the year. So what do you do? Rent one from us of course! We offer Gong rentals for events, opening ceremonies, shows or to wake your family up! Although we sell lots of different kinds of Chinese gongs, from our experience, the kind of gong you will need is a Chao Gong (抄锣). Why? Because it creates that deep wowing tone that everyone is looking for. It comes in sizes as small as 40cm, but what you will need is either a size of 80cm or 100cm. Below is a picture of the 80cm Chao Gong with stand. The 100cm Chao Gong will of course look bigger. Mr Goh Chok Tong officiating the opening ceremony. Here's a video of a 60cm Chao Gong with stand followed by the 80cm Chao gong with stand. The 60cm Chao Gong is not for rental but it is for sale. Click here if you are interested to buy the 60cm Chao Gong with stand. What size Chao gongs do you rent? 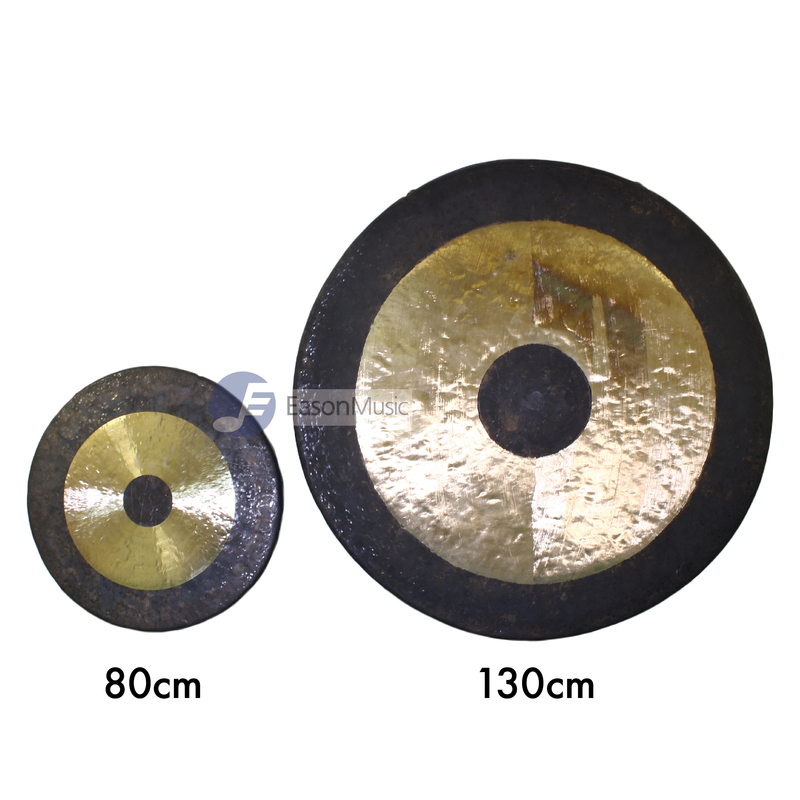 We have the 80cm, the 100cm, and the 130cm Chao Gong for rent. What does it come with ? It comes with a metal stand, gong mallet (you can request up to 2) and red ribbons. The 130cm gong does not come with a stand. My client do not like red ribbons, can I decorate the frame myself? Yes please feel free to decorate it anyway you want. Just make sure it is returned to us in the same state it was handed to you. 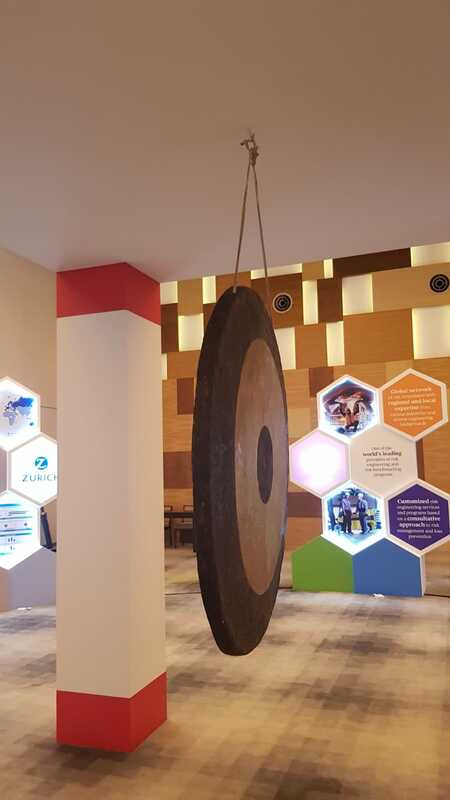 Can the words on the gong be removed? Yes we have removed the words already. Sorry the picture was taken before it was removed. Can I rent more than 1 gong? Most definitely! Subject to availability of the gongs. How far in advance do I need to book the gong? Well, preferably 3 days in advance. If need it like within the next 24 hrs, do contact us and we will try to help. Can you deliver it to the place of the event. Yes we can but additional costs will apply. Yes we would require a refundable deposit of S$500 for the 80cm gong, $1000 for the 100cm gong and $1500 for the 130cm gong. When can we take delivery of the gong and when do we return it? 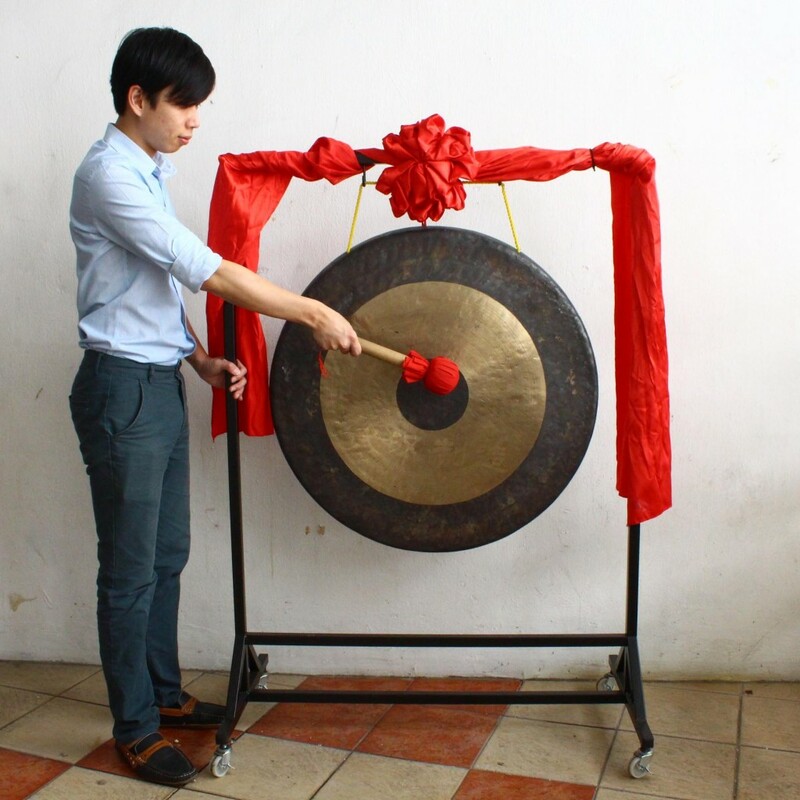 You can collect (or we deliver) the gong 1 day before your event and return it back to us the day after your event. Where is the pick up address? Our gongs are either at our store at CT Hub 2 or our warehouse at Kallang Way. More information will be provided upon confirmation! For paypal payment:We will collect the deposit and rental fee before the event by sending you an online invoice and you can pay via paypal or credit card.. Once the gong is returned, we will refund you the deposit through paypal. For cheque payment: We will collect 2 cheques - one for deposit and another for rental fee, upon collection (or delivery). When the gong is returned to us, we will return you the cheque for the deposit. We need a receipt for accounting purposes, can you provide that? Do you rent smaller gongs or Chinese drums as well? Well, we prefer not to. But if you really have a pressing need, please contact us and we will see how we can help you. Sounds great! I want to rent! What do I do now? Just fill up the form and we will get back to you within the next 24 hrs. Want to rent our gong? Drop us an enquiry below!